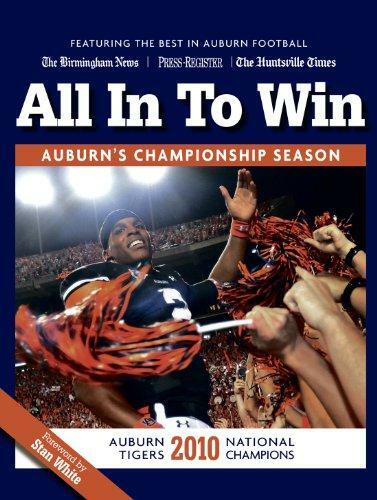 ALL IN TO WIN: AUBURN'S NATIONAL CHAMPIONSHIP SEASON - AUBURN TIGERS 2010 NATIONAL CHAMPIONS celebrates the year Auburn football was king of the college world. THIS COPY (shown below) was signed on the endpaper by Stan white at the store. 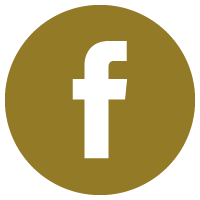 It is a new, unread first edition opened only for signing. Published in January, 2011 by The Birmingham News. 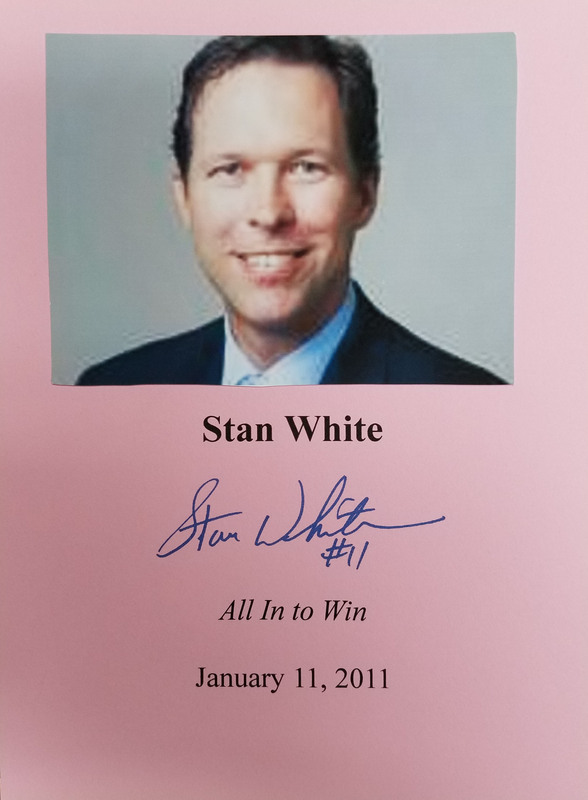 STAN WHITE (pictured below from our Wall of Fame) is one of Auburn's all-time favorite players, quarterbacking his 1993 team to an undefeated season. He is the color broadcaster for Auburn radio. 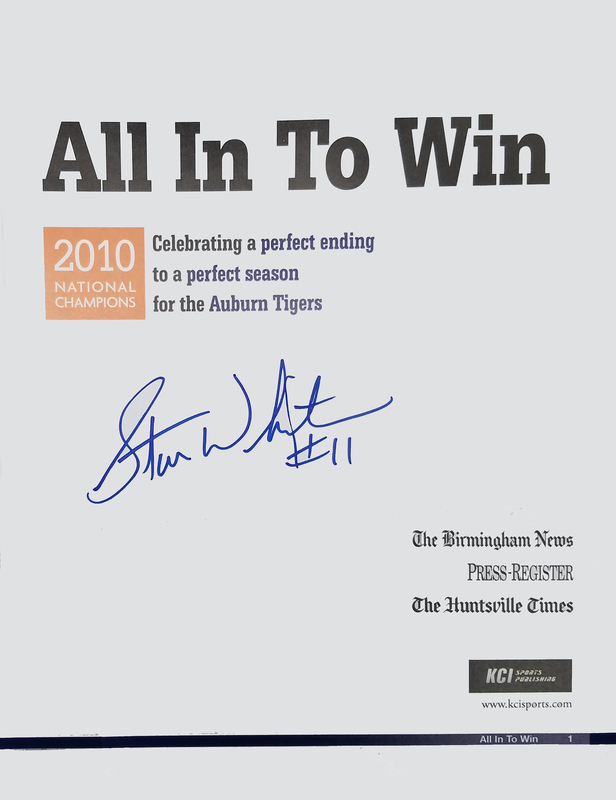 Thank you Stan White for signing our books.